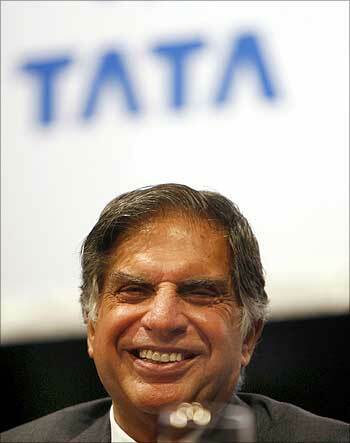 Rediff.com » Business » Radia tapes: What must the House of Tatas do now? A few weeks after the Niira Radia tapes became public former BPL honcho and member of Rajya Sabha, Rajeev Chandrasekhar, fired a salvo at Ratan Tata. The Tata Group chairman seemed very offended by the accusations, took them personally and responded to what was written. Rajeev fired yet another letter. This time Tata decided to keep quiet. The purpose of this article is not to take sides or make accusations in India's biggest and most widely reported scam, but to share some observations, insights and provoke thought. In corporate or military warfare, the rules of the game are the same. An opponent could attack the General first in the hope that if he falls then the army gets demoralised. Now suppose Tata got into a public debate and was unable to respond to some difficult questions can you imagine the impact on the morale of 3,63,000 Tata employees? The author is managing consultant, Surya Consulting. The head of a business group is a like the Chief of Army Staff. He is expected to observe, strategise, plan and ensure efficient execution rather than go to war himself. Sometimes an opponent could provoke you into a public fight by making baseless allegations. If you are sensitive and emotional you could say things that you might live to regret or expose your weak points. It could also be a ploy to put you on the defensive and shift your focus from business. It is better to study your opponent's weaknesses, be thick-skinned and bid your time. Now that the Supreme Court has asked the Central Bureau of Investigation to submit its report by February 10, 2011, it is best to wait for the report and let law take its own course. Why should the head of a $70-billion group personally respond to accusations made by another individual or corporate? Let corporate communications or the head of that business unit respond. During the gas spat with ADAG chairman Anil Ambani, it was mostly the head of petroleum refining and upstream business at Reliance, P M S Prasad, who interacted with the media. It might be better for Tata, even though he is chairman of Tata Teleservices Ltd, to let the concerned business unit head respond. So who is behind the release of the tapes? Strictly speaking, it is only the Government of India who would know. How can the aam aadmi guess? In such types of warfare look for all players who could be affected, positively or adversely. Also look out for a company which was badly bruised in a corporate battle and is, what I call, a zakhmi sher (wounded lion). Those in the background, who are triggering the war, usually keep a low profile. The Tata Group chairman should focus on how to counter a savvy businessman rather than get into a media debate like politicians do on prime time chat shows on television news channels. 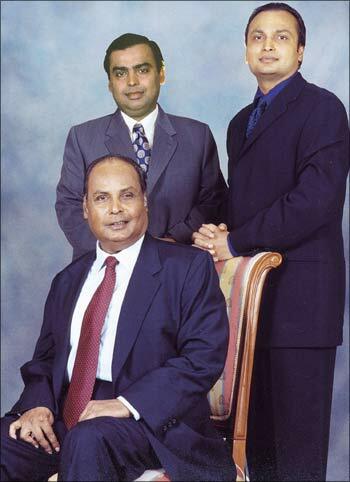 Image: Anil and Mukesh, with their father Dhirubhai Ambani. Similar strategies are followed in politics as well. When former Maharashtra chief minister Ashok Chavan said his opponents blew up the Adarsh scam out of proportion and gave a supari for his removal, he was not really wrong. A group of politicians who were enjoying the tamasha from the sidelines, made public statements only when the crisis was its peak, and thereafter Chavan's exit seemed certain. Now what if the Supreme Court rules that certain telecom operators, including the Tatas, had unduly benefitted? It might be better for operators to follow their dharma, pay the differential license fees and focus on increasing the size of India's mobile market just like some operators did in 2003-04. If they choose to challenge the ruling, it would result in wasting positive energy. A similar corollary would be the gas row between the Ambani brothers. The biggest gainers were the lawyers, the losers the brothers themselves. 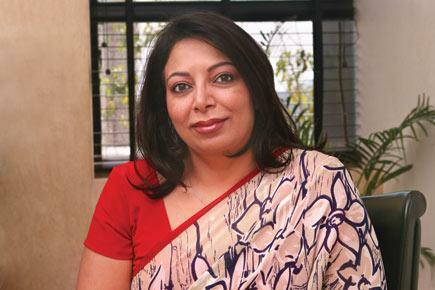 Media reports indicate that only Niira Radia's Vodafone and MTNL numbers were tapped. If her Tata Telecom number had been tapped, Tata Teleservices would have got a whiff of the tapping and alerted the group. By itself, this is a great learning for all corporates. Post Radia tapes, all telecom operators should ensure that their employees and key associates use numbers of that operator. This could also lead to an informal agreement between large corporates and telecom operators where the latter is supposed to warn them if the phones of any employee is tapped by a law enforcement agency. The extent of phone tapping and their public disclosure has shaken the faith of corporates and individuals in the system. Therefore, I would not be surprised if such an agreement has already come into effect. One, select Ratan Tata's successor at the earliest. Two, make the Nano a commercial success. The car has caught the world's imagination and made Indians proud of their frugal engineering skills. Three, acquire and turn companies around abroad. The Jaguar-Land Rover success has proved Indian management skills abroad and enhanced the country's brand equity. 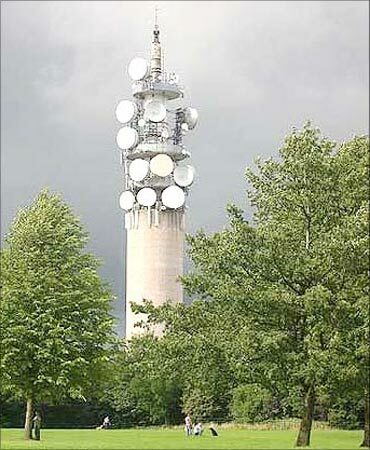 And, lastly, make peace with the big two telecom operations: Reliance Communications and Bharti Airtel. It is time for the Tatas to get on with business as usual! 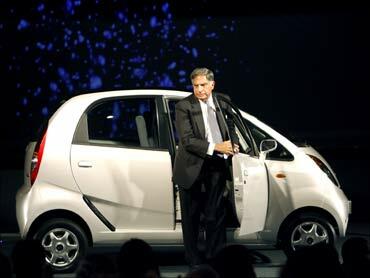 Image: Ratan Tata at the launch of the Nano.